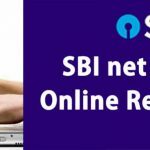 Learn How to get SBI account statement Online. 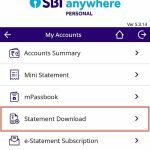 State Bank Of India provides many options to check and download the account statement without visiting the Home Branch. 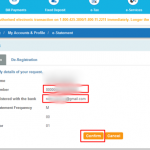 By registering SBI e-statement, you will get SBI account statement in your registered Email account also. 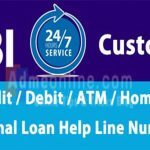 How can I get my SBI bank statement online? 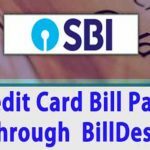 You can easily download SBI bank account statement in PDF format using Online SBI Account or SBI Anywhere App . If you need a Bank statement urgently, For ex. to file the Income Tax Returns or to apply for a bank loan, you can easily download the SBI account statement in PDF or MS Excel format, If you are an existing internet banking user (Online SBI Account), without visiting your Home branch through SBI Anywhere Personal Mobile App or Online SBI Account. 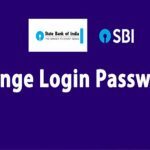 Step 1 : Login onlinesbi.com account using your SBI Internet Banking user name and Password. 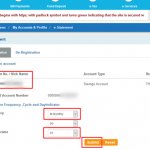 Step 2 : Now click the ‘Account Statement‘ option in the ‘ My Accounts & Profile‘ menu in your online SBI Account. Step 3 : Now you can see the list of all accounts in that bank. 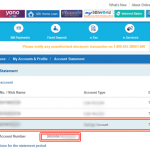 Select the Account you want to generate the bank statement. Last Six Months: by selecting this option, you can download the statement in the last six months. Step 5 : Select the appropriate option to download the Bank Statement. You can see Download in Excel Format and Download in PDF there. 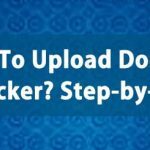 Select one option and then click on ‘Go‘ button and Save the file. Note: If the number of transactions in the selected period is greater than 150, then a new option (Pending Statement ) will be activated in your ‘My Accounts & Profile‘ menu. 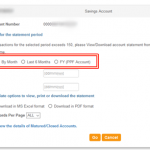 You can view or download the account statement from the ‘Pending Statement’ menu. See the screen shot below. To download the statement, just click on the ‘Request ID’ and then select the download format. 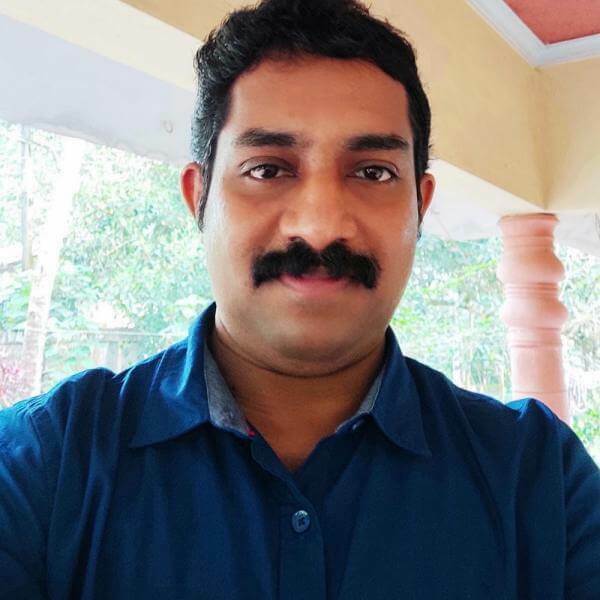 You can see Download in MS Excel format and Download in PDF format there. Select the appropriate option. 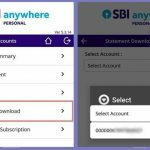 State Bank Of India launched SBI Anywhere App to helps the SBI Customers to easily manage there accounts. 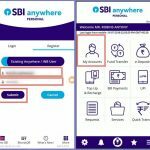 Many SBI Bank services available in the SBI Anywhere App. 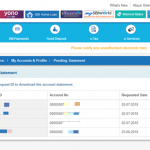 With SBI any where app, you can get sbi account statement online without net banking. ie; You can register and use SBI Anywhere APP even if you don’t have an Internet Banking Account. 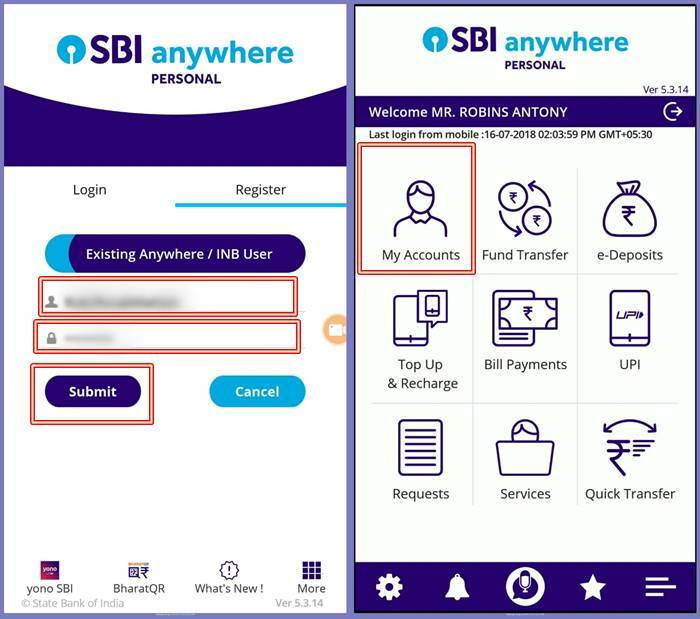 If you have not yet installed the SBI Anywhere App, you can download it from the Google Play Store. 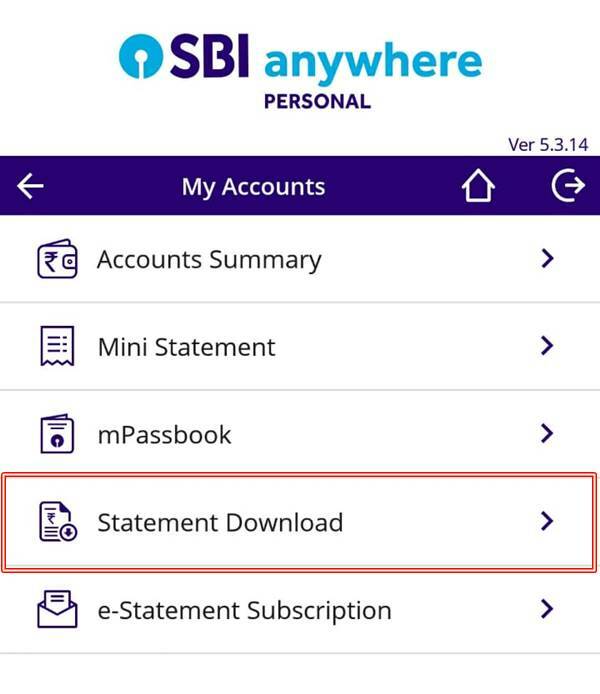 You can use the SBI Anywhere App Personal to easily download SBI Bank Account Statements in PDF Format. 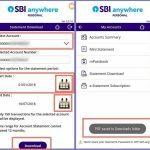 If you have not installed the SBI Anywhere App, Learn the step by step SBI Anywhere Mobile App Registration Process. 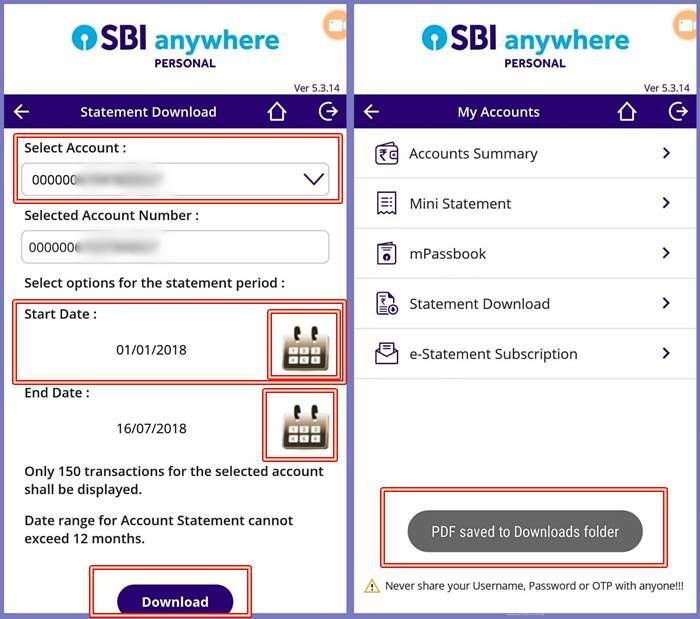 Find below the step by step process to download the SBI Bank Account statements through SBI Anywhere App. 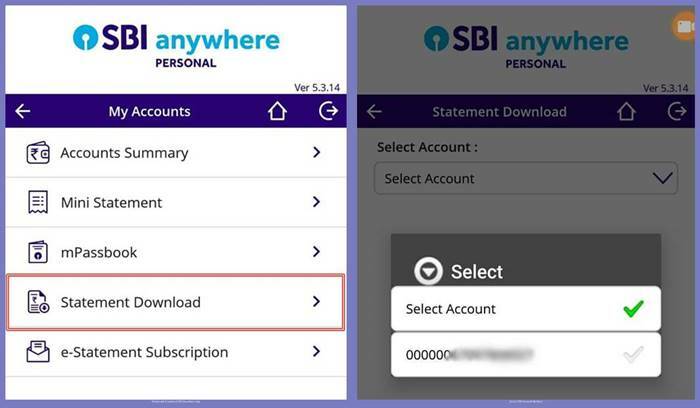 Step 1 : Open the SBI Anywhere App in your Mobile and Login with your SBI Anywhere App Quick PIN (Easy PIN) or your Internet Banking User Name and Password. Now click on ‘My Accounts‘ to download the Bank Account Statement. Step 3 : In ‘My Accounts‘ page, you can see many options like ‘ Accounts Summary’, ‘Mini Statement’, ‘mPassbook’, ‘Statement Download‘ etc. 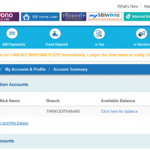 Step 4: Now you will get an option to select your SBI Account Number from a list. 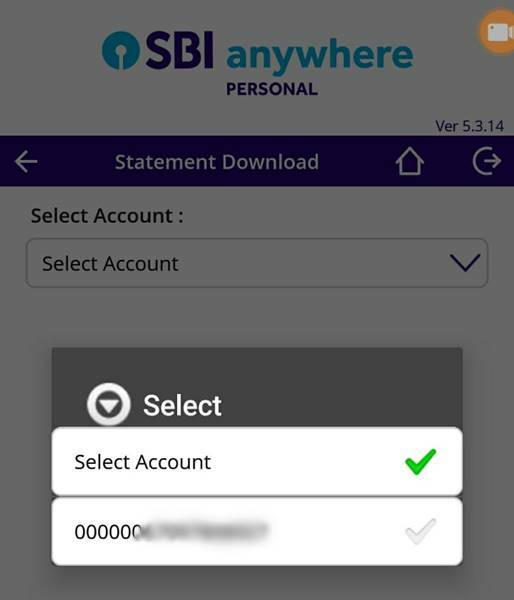 Select your SBI Account Number (See Screen shot above). 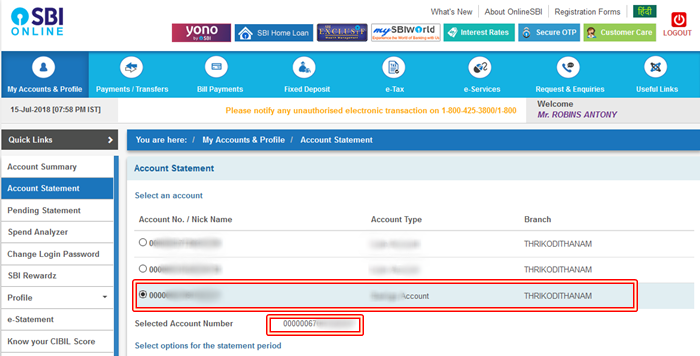 Step 5 : You can now select the SBI Bank Account statement ‘Start Date‘ (Click the Calendar Icon to select the date) and ‘End Date‘. 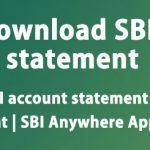 Note that using SBI Anywhere App Statement Download options, Date range cannot exceed 12 months. After selecting the required Date Range, click on ‘Download‘ button. 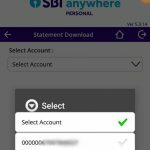 You SBI Bank Account Statement will be generated for the selected Date Range and the PDF saved to the Downloads folder of your Mobile Phone. 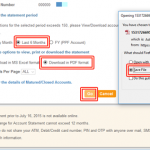 You can email or take print outs of your Bank Statements in the PDF form. 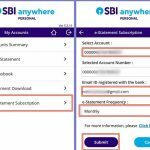 You can easily register for e statement through SBI online account or SBI Anywhere App and can get the e statement in your Inbox Daily, Weekly, Monthly, Yearly or any other frequency you choose, if you have registered your Email address with SBI. Find below the step by step process to register for the e statement in SBI. 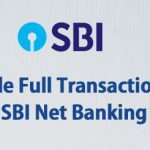 Step 1: Logon your Onlinesbi.com account and Click on e-Statement. Now you will get the e-statement Registration Page. Step 2: Select the SBI Account you want to register for the e-statement. Now you can select the Frequency (Eg: Daily, Weekly, Monthly, Yearly etc), Cycle and the Day you want to get the e-statement in your Inbox. Step 3: Now you will get a confirmation page. Confirm your SBI Account details like given EMail address, Account Number etc and click on ‘Confirm‘ button. Step 4: Now you will get an OTP in your SBI Registered Mobile Number. Enter the OTP and click on ‘Submit‘ button. Please note that you will get the e-statement if you have any transactions in your e-statement selected frequency period. 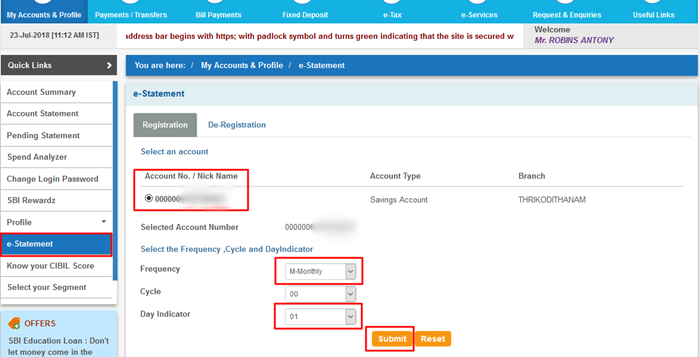 You can De-register the SBI e-statement at any time by clicking the ‘De-Register’ tab in the same window, select the SBI account and then click the ‘Submit‘ button. 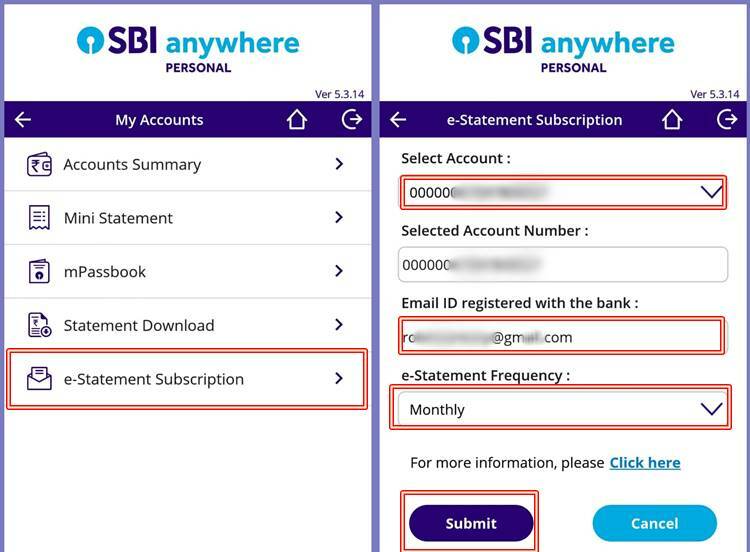 1 : Click on ‘My Accounts‘ in the SBI Anywhere App Dashboard and click on ‘ e-statement Subscription‘. 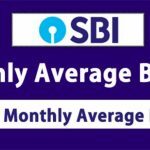 2: Select your SBI Account. 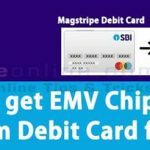 You can see your Email address already registered with SBI. 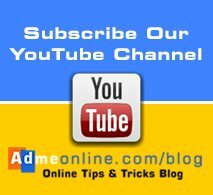 Choose the e-Statement Frequency and click on ‘Submit’ button. 3: in the next screen, you will get an option to confirm the subscription. Click on the ‘Confirm‘ button. If your registration is successful, you can see a confirmation message there. If you have any Questions, Post it as comment below.